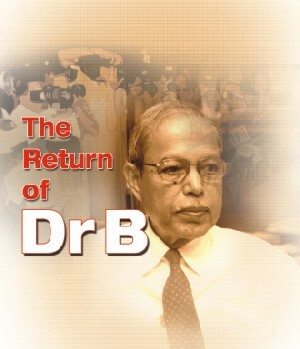 After a long silence of nearly a year and half, Dr AQM Badruddoza Chowdhury, once dubbed as the moderate voice of the Bangladesh Nationalist Party (BNP), has made a big ripple in our stagnant political pond. “The country is heading for a crisis,” Chowdhury says. He has the solutions to the problems the country has been facing, he claims. But so far he has steadfastly denied having any intention to form his own political party. When the SWM meets him, Dr Chowdhury talks about his life and political plans that have put him at the centre of public attention.